This Winter, for me, is all about having great skin. I am of the opinion that you have to start by looking out for your single largest organ before you go and spend more money on makeup for the outside (guilty as charged). So taking care of that Ace Face requires some work. 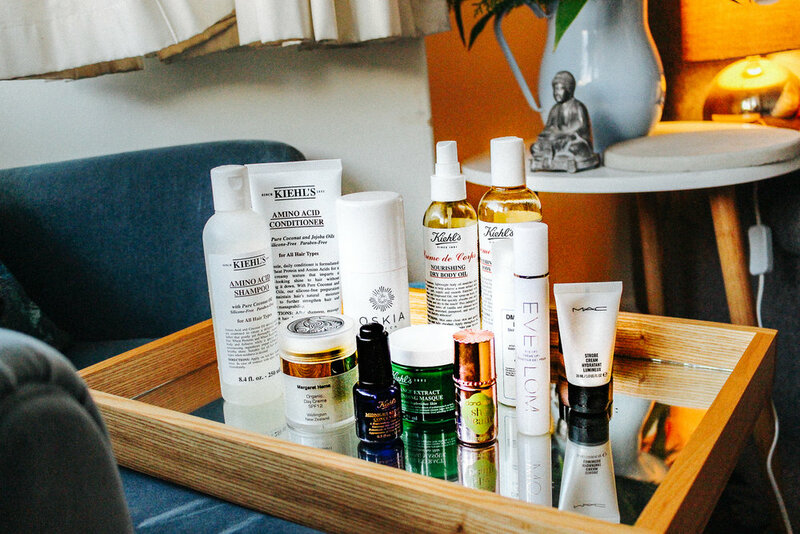 Winter is the time to layer your skin products, and thing hydration, hydration, hydration. This gel is the product I reach for when I travel and when I feel like mixing it up from my favourite Margaret Hema cleansing oil. It comes out like a sweet, thick paste. When you rub it into your skin it turns into a wettened oil and starts to emulsify. If you leave it on for a few minutes, it is even better and hydrates your skin. The packaging is great because it has a fabulous pump which is wide and won't block. The cap coming on and off makes a very satisfying click. Inside, it claims to have Vitamin A Palmitate, Vitamins C & E, Fermented Pumpkin Enzymes, Starflower Oil, Vitamin B² & Magnesium and much more. It isn't currently available in New Zealand but you can buy it online here. Costs around $60. Isn't there just something so luxe about a leave-on mask? Perfect for in-flight or when your skin needs an extra oomph of moisture. I love adding masks to my skincare regime and when I do I find that I look in the mirror and see a HUGE difference. 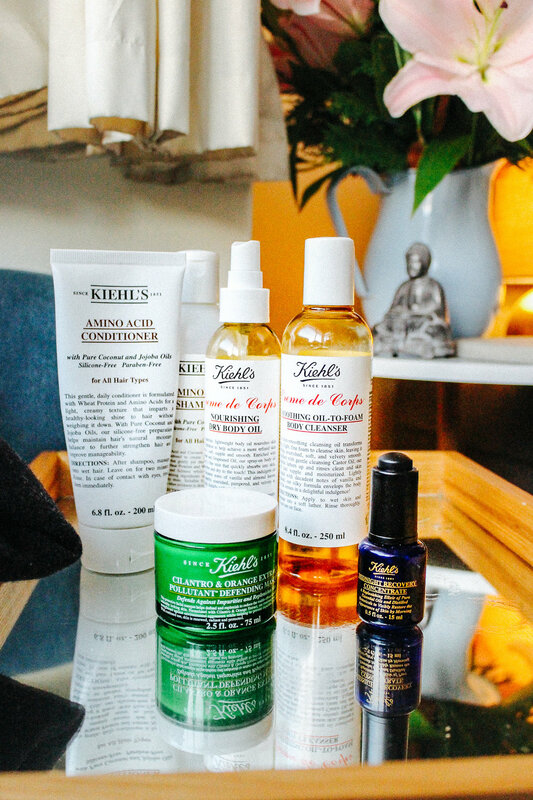 Kiehls Cilantro & Orange Extract Pollutant Defending Soothing Mask is on my bathroom shelf and a light layer is all you need to see a sparkly and brighter face. The directions say to take it off after 5 minutes but you can sleep in it, wear it around the house and pop it on in flight and no one will think you look like the jolly green giant. Perfect for normal to dry complexions! Vitamin C: a potent antioxidant and brightening agent which serves as a barrier for your skin against free radicals. Pricey but lasts forever. Thumbs up! This contains so many amazing Organic New Zealand ingredients: Beeswax, Lavender Essential Oil, Totarol Oil, Avocado Oil, Borage Oil, Olive Oil, Flaxseed Oil, and Calendula Oil. It really speaks for itself. It has ingenious packaging I've only ever seen one other brand, Kate Sommerville, use which keeps this product and its natural ingredients completely fresh. I use every day well in advance as putting on makeup as it does need time to absorb. Made in New Zealand, it moderately expensive but lasts for a very long time and it is perfect for everyday wear. Margaret always talks about how it doesn't have a drop of water in it, which is true, and rare for a moisturiser. Really perfect. 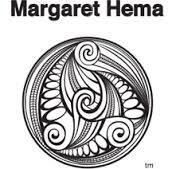 No wonder Liv Tyler is still obsessed with Margaret Hema and her products, 18 years later from filming The Lord of The Rings (check out my sidebar if you want to know what I mean!)! When Kiehl's announced it was opening in Wellington, this was the product everyone said they'd missed in its absence. It smells sensational and is a great thing to pop onto your face just before you nod off. Its goals are to enhance your skin’s natural nightly recovery process, restoring tone and radiance by morning blending of essential oils and botanicals including lavender oil, evening primrose oil and olive-derived squalane. I love Kiehl's Midnight Recovery Concentrate, in addition to perhaps Estee Lauder Advanced Night Repair for night-time. It always makes me feel so happy when I put it on. I was sent this cream as a PR sample last year by Dermaviduals. At first, I wasn't persuaded by its sensible packaging but this is a really great moisturiser, up there with Kiehl's Ultra Facial Moisturising Cream (which I also recommend). It has a very neutral texture, coming out like a rich sunblock, without the horrible smell. It absorbs fast, has no scent and is my go-to moisturiser if I have to put on makeup in a hurry. Leaves a hydrated, rich texture. Go to Elderberry and Kate and they can tell you about the range. They stock all the products and rate them highly. 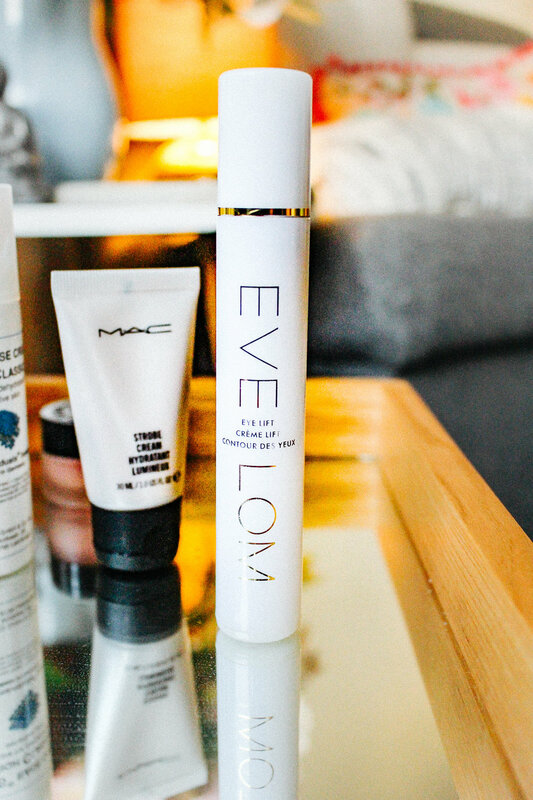 I recently tried this and was immediately taken by this hydrating lotion that packs the punch of the classic MAC Strobe cream, the original highlighter which has legendary status. It is a wonderful final touch to the skin, just before you head into makeup. Alternatively, this is a kind of a dupe for the Estee Lauder x Victoria Beckham range, which has the amazing primer Morning Aura Illuminating Creme (which is also far pricer). You can go makeup free or just pop on some mascara and fool them all with your very reflective, glowing skin that doesn't look shiny. You can buy this from MAC, Farmers or MECCA Maxima. I am OBSESSED with this body wash. It goes on as an oil and then emulsifies and washes off. Heaven! It smells amazing and wheat-like and hydrates the body while you are showering, rather than drying it out like so many other body washes. I cannot live without this not in my shower now because it is just that good. Full of grapeseed oil which is a hero ingredient full of antioxidants, and light vanilla and almond scented it is my favourite way to get velvety skin without effort. It is full of hydrating goodness, and complemented by the spray-on body oil delivers a fine mist that quickly absorbs into skin. This is an amazing conditioner and shampoo, and even though we are talking mainly about skin, a good clarifying shampoo, particularly when alternated with a different brand, is a fantastic thing which will add to your glow with fresh, bouncy hair. This is a gentle sulphate free conditioner which just gives your hair OOMPH and glow. The shampoo is fantastic and gets your hair PROPERLY clean. I alternate with the Sansceuticals Hair Wash and Moisturiser. Winner, winner! Good hair days for all! Finally, this highlighter is a cousin of Benefit's famous product 'BeneTint' which is was utterly obsessed with from 14 - 17 (I used the rose stain all through high school, proving I was boring from a young age). Although it is called Shy Beam, I think this is the perfect balance of glow and can go on the brows and the cheeks alike. The brush applicator is perfect to swipe the glow across your face, and then just pat down with fingers. Pop it in your handbag and you can top it up all through the day!